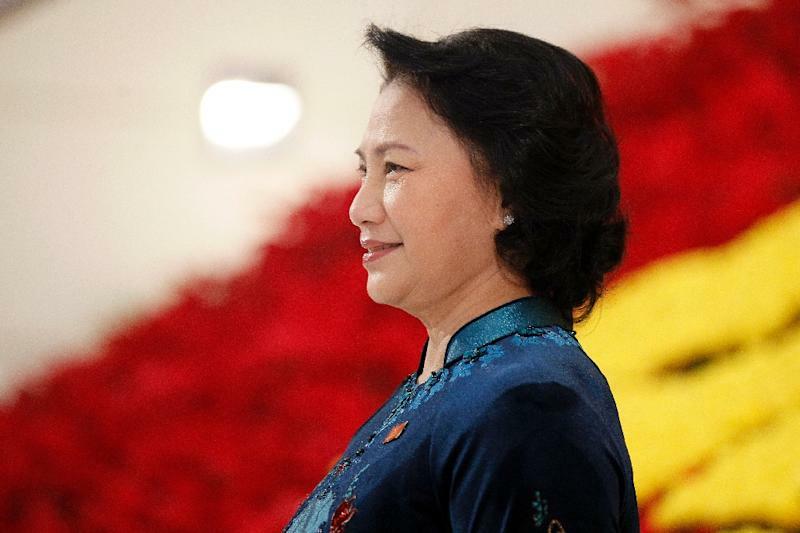 Communist Vietnam named a woman for the first time to the influential role of chairperson in its rubber stamp National Assembly Thursday -- the country's fourth most powerful position -- state media said. 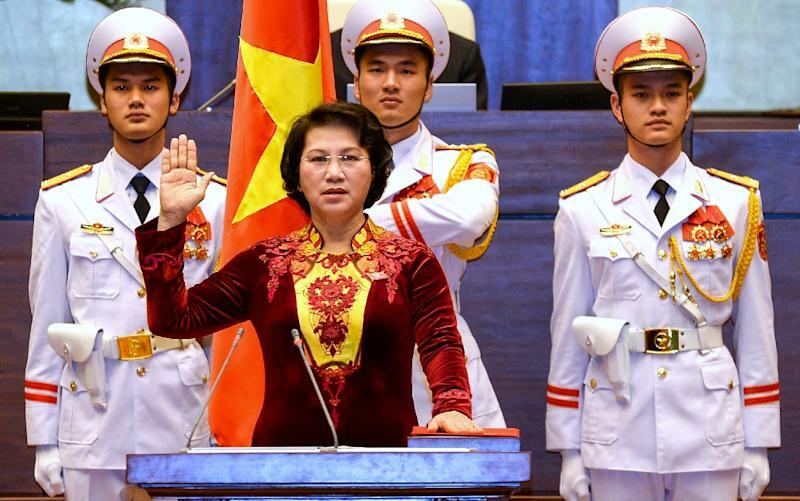 Veteran lawmaker and senior Communist Party official Nguyen Thi Kim Ngan was elected with 95.5 percent of votes after a poll in the country's 500-strong legislative body early Thursday, state-run VTV said. "I would like to thank the National Assembly for electing me," Ngan said after the ballot, which was broadcast on VTV. "I vow my resolute loyalty to the nation, the people, and the constitution," Ngan, who is from southern Ben Tre province, added. Ngan, 61, was selected for the National Assembly chair position in January during the five-yearly Communist Party Congress, which was this year overshadowed by factional fighting. No other candidates were on the ballot paper and some 472 out of the 484 lawmakers present on voted in her favour, VTV said. Her appointment means she is the highest ranking female party official. The majority of Communist Party officials are men, but women are reasonably well represented in the ranks, with around 25 percent of National Assembly delegates being female. Vietnam is in the midst of a leadership handover after the country's top communist leader, Nguyen Phu Trong, was reelected as party secretary general in January in a victory for the party's old guard. Reformist Prime Minister Nguyen Tan Dung lost out in internal party elections and is due to step down next week, when the National Assembly will vote on his replacement. This is expected to be Nguyen Xuan Phuc, currently a deputy prime minister, state media said. On Saturday, the National Assembly will also elect a new president, expected to be Tran Dai Quang, a police general who rose through the ranks within the country's powerful Ministry of Public Security. Political analyst Pham Chi Dung told AFP that Ngan's election as National Assembly chair was a strategic choice by the party to ensure a power balance between the country's key regions. "It's no breakthrough," for gender equality, he said. "Ngan is from (Vietnam's) south and has support from (party secretary) Trong and (Prime Minister) Dung," he said. 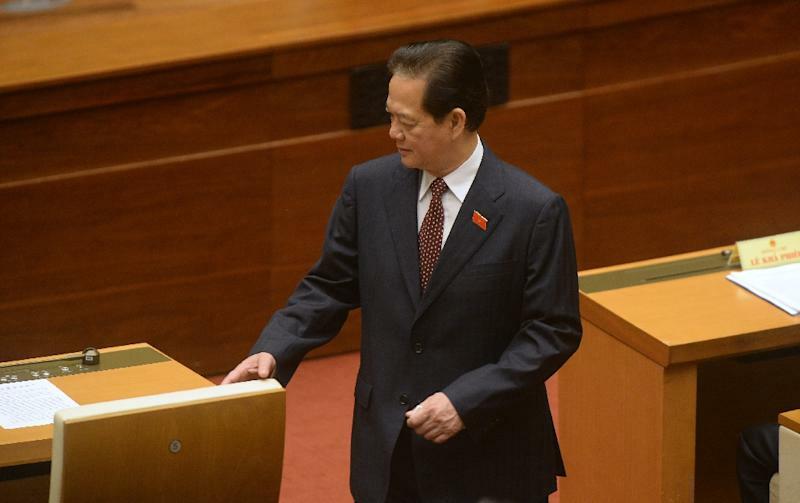 Only a handful of the 19-member politburo, including Ngan, are from the country's south, analyst Dung said. Vietnam fought a bitter decades long war pitting the communist north over the US-backed southern regime, which ended with a communist victory and reunification in 1975. The ruling Communist Party strives to ensure a power balance between the key northern, central, and southern regions, often dividing top political appointments along geographical lines. In the past, the leadership handover is decided in at the party congress and takes up to six months to be confirmed by the National Assembly. Analysts say this year things have moved more quickly, partly because several top leaders are retiring from politics, and also because of an upcoming visit by US President Barack Obama in May.